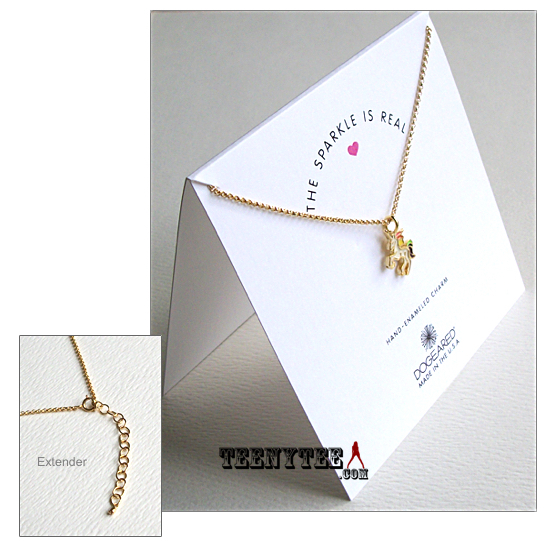 Come with Dogeared original card & box (shown in the picture). 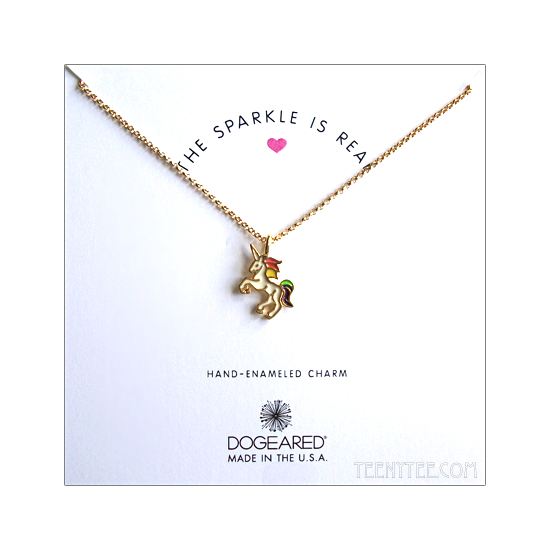 This item is a reminder to Sparkle is Real. Handcrafted with great care from inception to design. 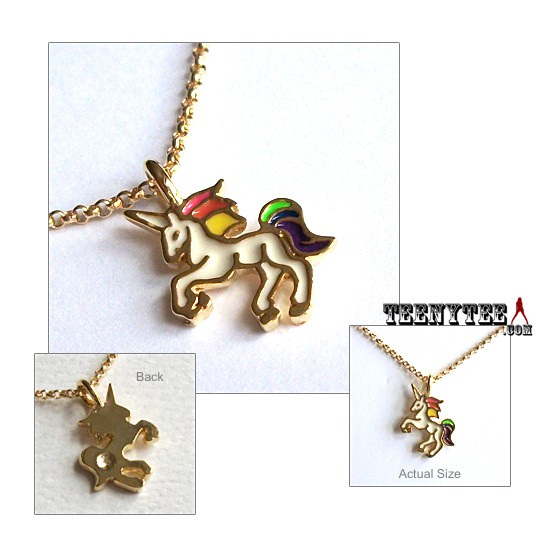 Hand-Enameled &14K gold dipped charm and 16" length gold plated chain with extender. 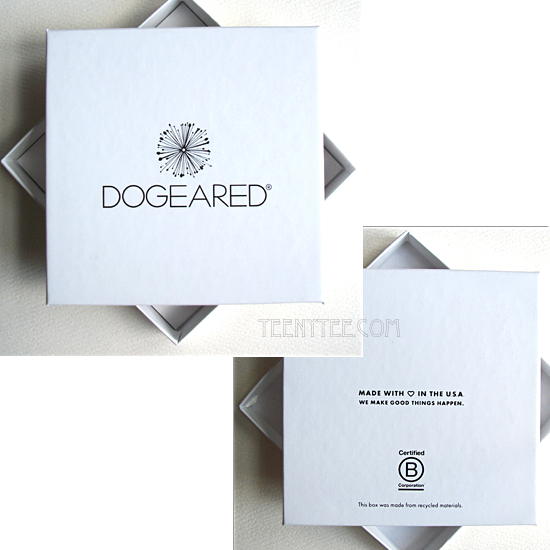 This item come with Dogeared original New logo box (shown in the picture 4) and sateen ribbon.